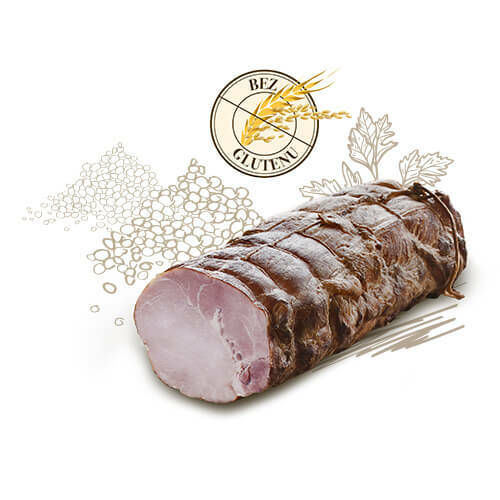 Our cured meats owe their exquisite taste to the best quality pork, veal and beef cured with the composition of properly selected natural spices. 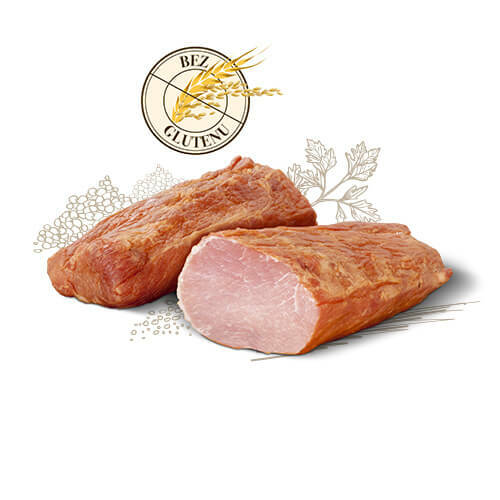 In our offer you will find many premium quality products which are made with the utmost care from hand-selected meat. 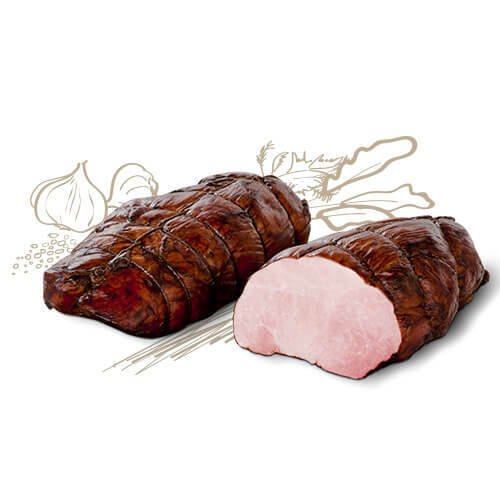 Excellent smoked sirloin made from the best extremely tender meat with a slightly herbal aroma and a hint of smoky flavour will delight everyone. It is not easy to find more delicious sirloin than this one. 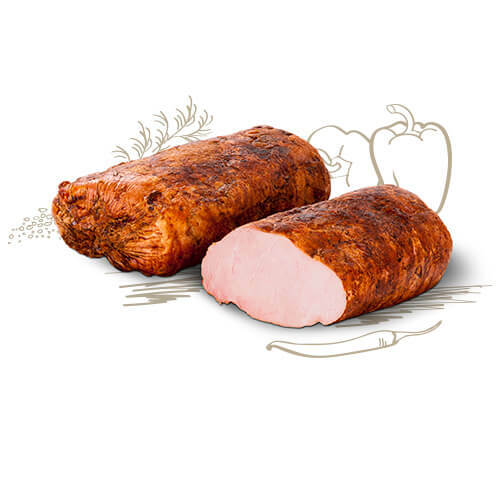 Made from high quality meat and carefully roasted becomes tender and juicy, and good for many culinary applications. 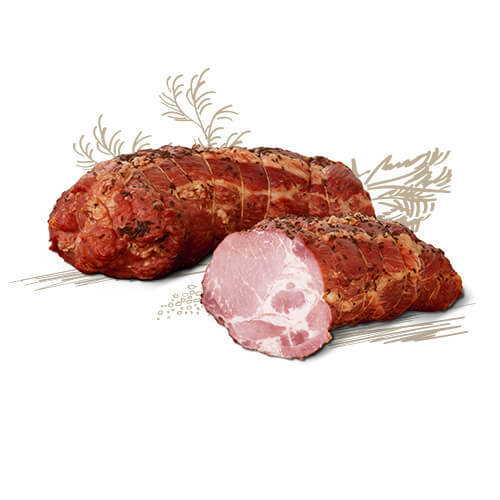 Aromatic ham made from tender pork, with deep brown crust and deep flavour. Premium quality product ideal for amateurs of expressive food. 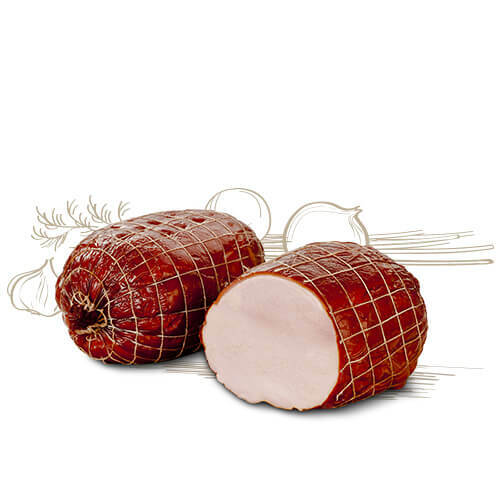 Smoked ham which delights gourmets with the unique composition of the flavour and aroma. Produced exclusively by the Bacówka company. 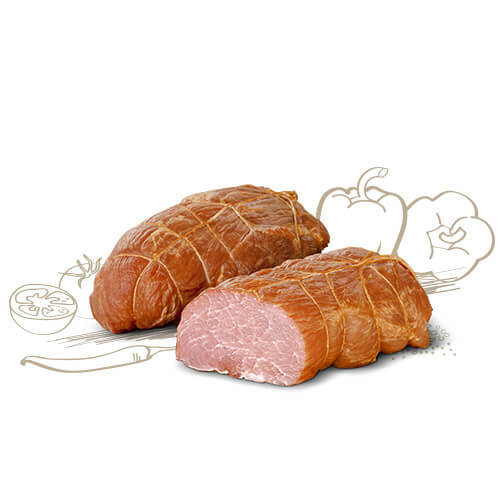 Delicious gammon is made from carefully selected meat from pork neck, seasoned with aromatic spices and finally smoked. 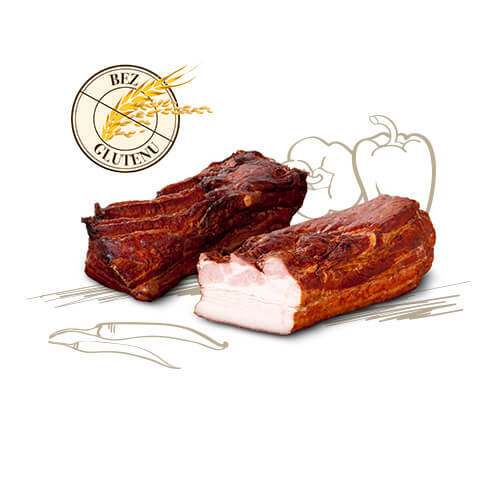 Thanks to the retained structure of muscle and pepper and herbs coating looks great on a dish. 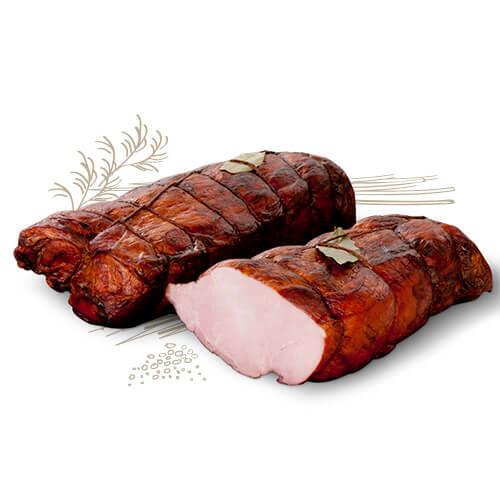 It is excellent classic smoked ham based on the proven recipe, ideal for every day and for special occasions. 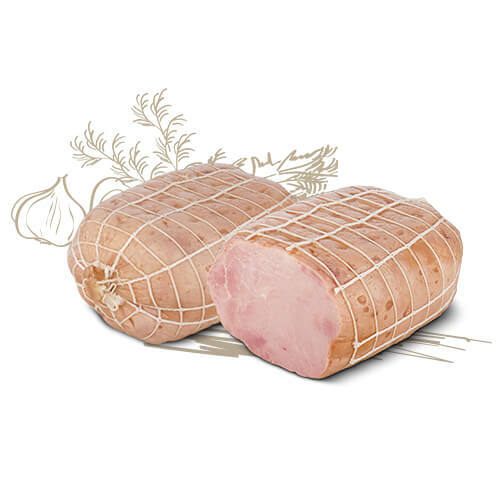 It owns its characteristic colour to the preparation process. 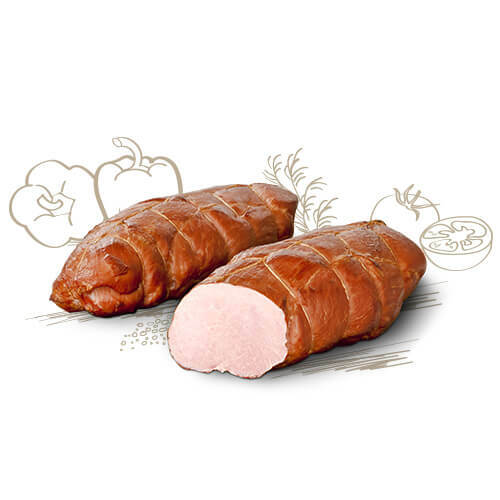 Since it is blanched, not smoked, it does not brown, and the meat gains juiciness. 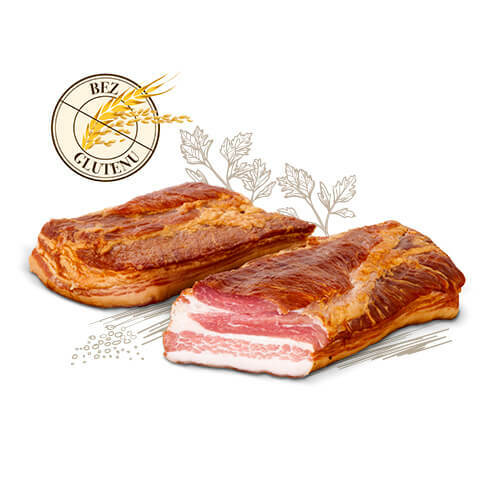 Elegantly arranged in slices gives off the tempting aroma and makes an ideal snack for feasts and parties.